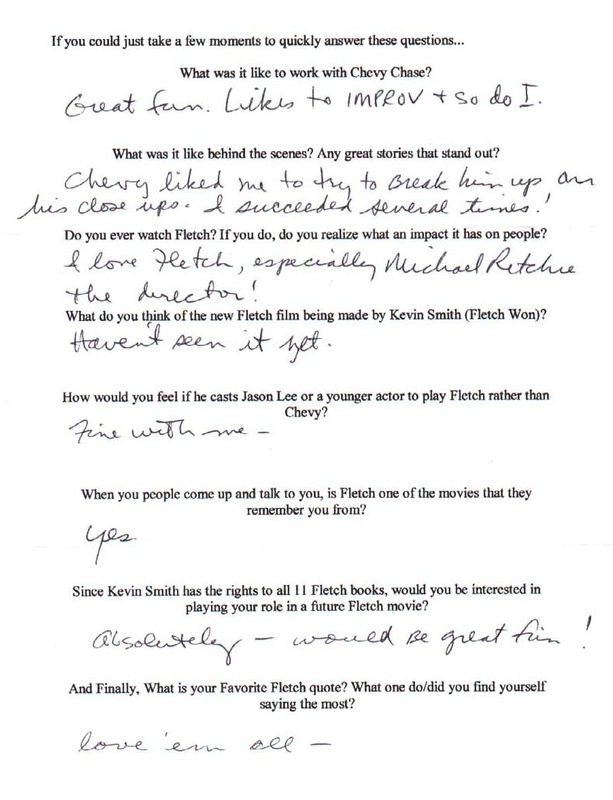 I sent Tim a letter and he not only sent me an autographed photo, but he also hand wrote responses to the Fletch interview I sent him...What a guy! You can actually see the hand written responses he sent me in the right hand column. Tim's a pretty big star to take that kind of time out for his fans. Thanks. Tim Matheson: Great fun. 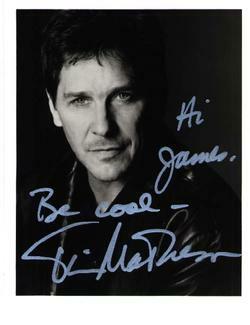 Likes to improv and so do I.
Tim Matheson: Chevy liked me to try to break him up on his close ups. I succeeded several times. Tim Matheson: I love Fletch, especially Michael Ritchie the director! Tim Matheson: Haven't seen it yet. Laker Jim: When people come up and talk to you, is Fletch one of the movies that they remember you from? Tim Matheson: Absolutely - would be great fun! Tim Matheson: Love 'em all.